Perhaps it’s an indication to get little more creative, but with the start of every layering season I’m always excited to wear the same favourite trusty colour combinations. This one (camels, reds, and greens) is inevitably one of the first to be done: it’s classic, casual, and coordinates perfectly with the changing hues of the leaves. Which colour combinations are you excited to wear this fall? Great look! and love these photos! You’re so adorable with that haircut, Jen. : ) I always love seeing you bring that bag out. I am reallly really obsessed with that belt. About to pull the trigger and get it. Your bag is so perfect! 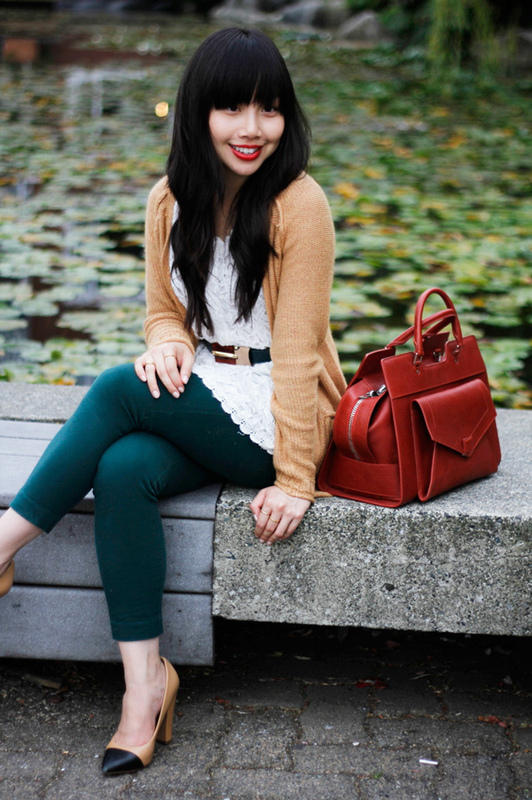 Love the color palette! I can’t get enough of that belt. What a great find! 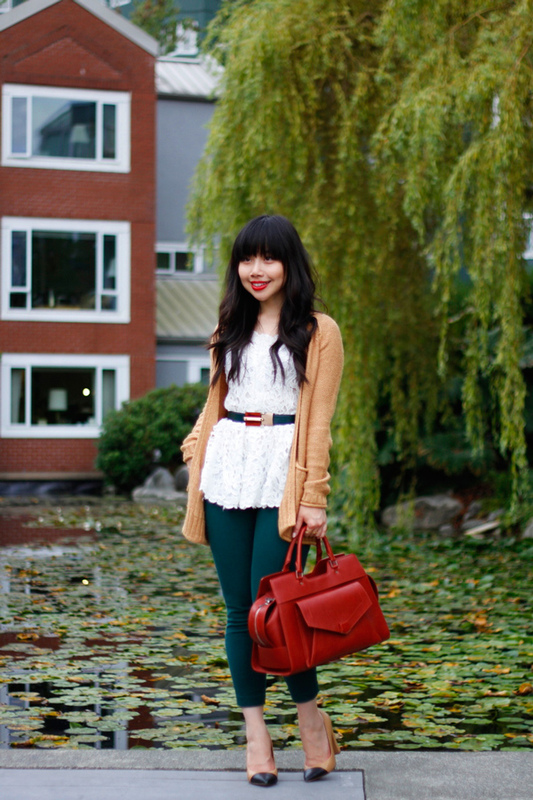 Loving these fall colours and mix of textures. I love the teal & red colour combination. Great combination! The bag is sooo pretty! 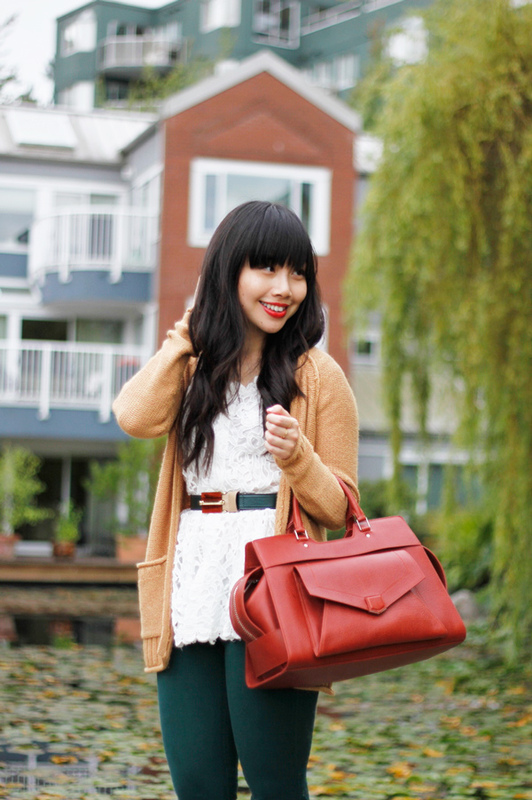 I love layering for fall, too! 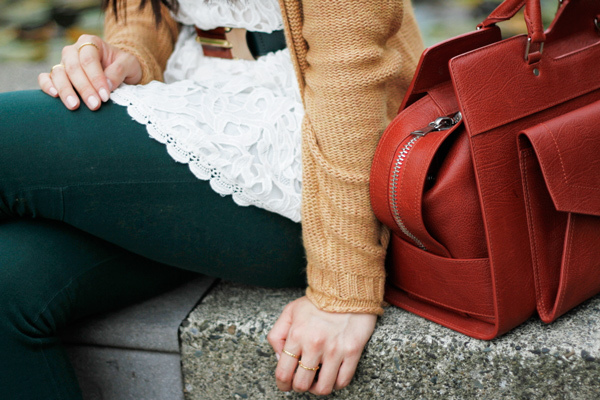 This red bag is GORGEOUS!